At Whoops! 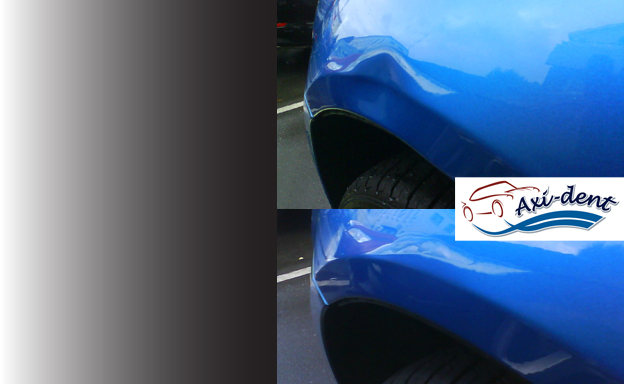 we specialise in repairing paint damage to bodywork but sometimes dents are caused without affecting the integrity of the paint. When a panel is dented but the surface of the paint is still intact it is best to use a paintless dent removal specialist. Paintless dent removal or PDR is a very skilled job and if you need the service we can highly recommend a company called Axi-dent. PDR is a technique that reforms metal back to its pristine condition without affecting the paint on the vehicle, retaining the existing paint finish. Axi-dent’s highly trained technicians gain access to the dents from behind the back of the door or the panel. They then use specialised tools to massage the dent out. No gimmicks and no suction device, only a skilled pair of hands, a sharp eye and the tools to give you a perfect finish.